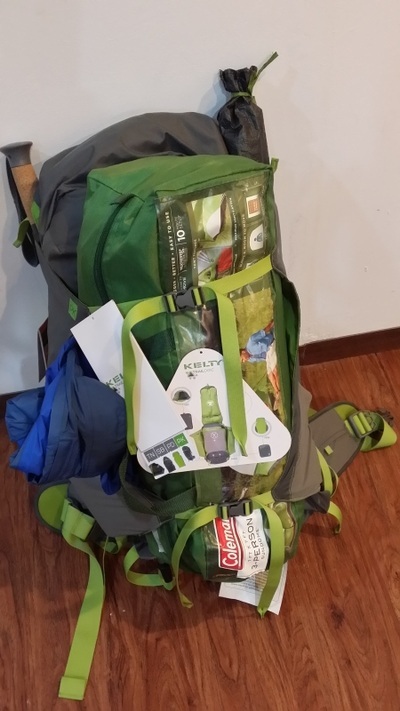 When i received the pack, the first thing extracted me was the eye-catching design and color. immediately wonder how's the pack works and holds up my gears. 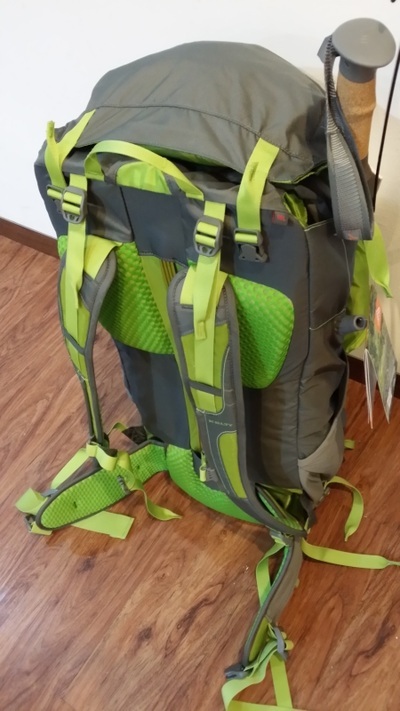 The pack has 35L + 15L capacity, the 15L is top-front detachable compartment with 2 compartments in it. that is useful to keep the soft and compressible items like clothing and towel for quick access later or as dirty cloths seperation compartment. To reduce weight for day out, you may remove the front compartment and keep it at campsite. Kelty PK50 is zipper-less! 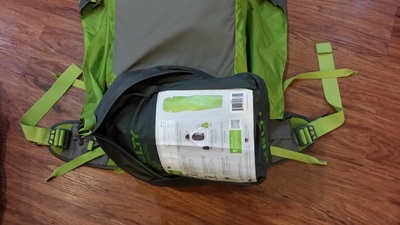 the closure for main,bottom and front detachable compartment are using roll-top with buckle system for getting rid of zipper failure and problem when rains water goes thru zip, thumbs up for daring designs by Kelty. 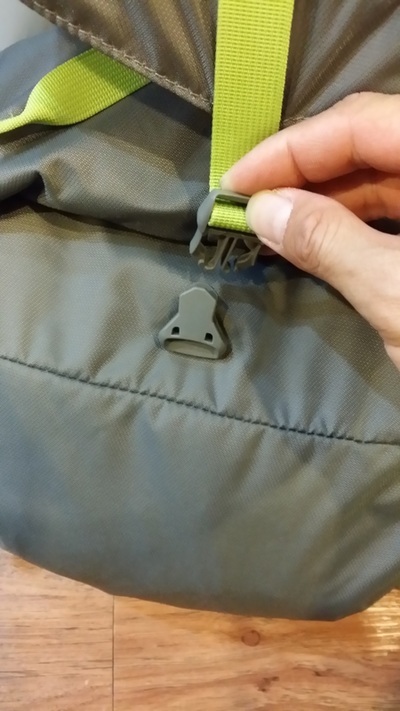 The downside is you gets harder to roll and clip on the buckle when you overloaded the compartment, but again it would be the same with zipper. here i have Millet sleeping bag,Kelty sleeping pad,Coleman Sundome 3P tent,Kelty trekking pole,Contigo 32oz water bottle and Sierra Designs rain jacket. let's see how to fit these items into the pack. 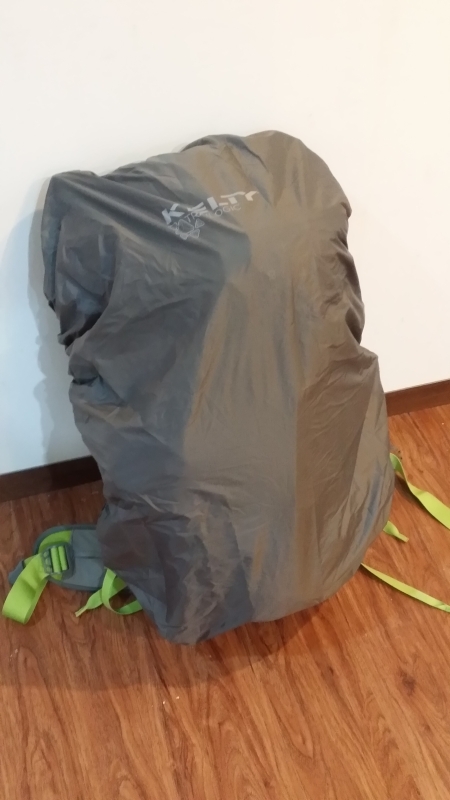 i try to abuse the lower compartment by putting both sleeping bag and sleeping pad into it, with some pressing and tighten with compression straps, it fits just nice. 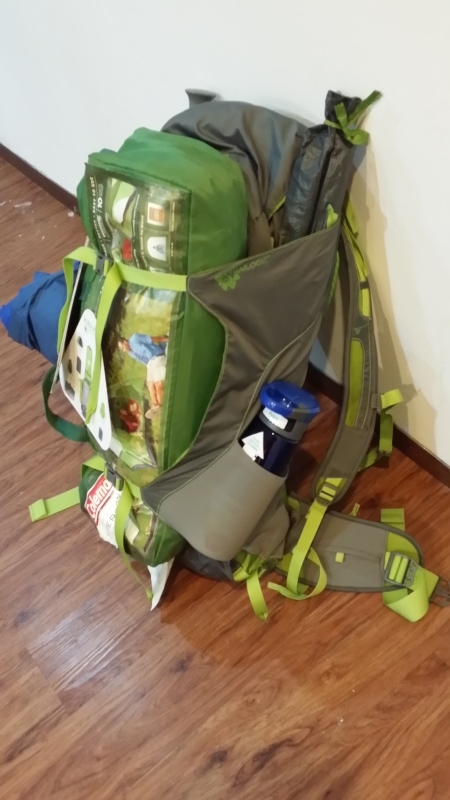 The bulky tent places at the front and tighten it with wing straps, it would be the first item to take out when you reached the campsite. 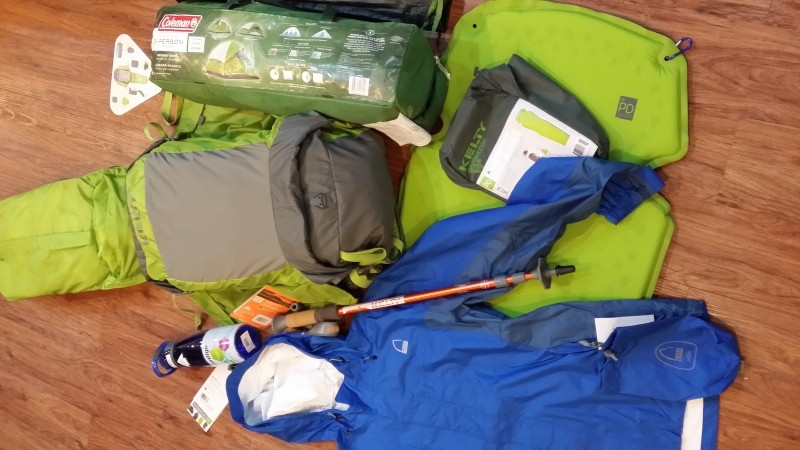 as configured by Kelty the best use with lightweight tent, however not everyone has budget for the lightweight tent. 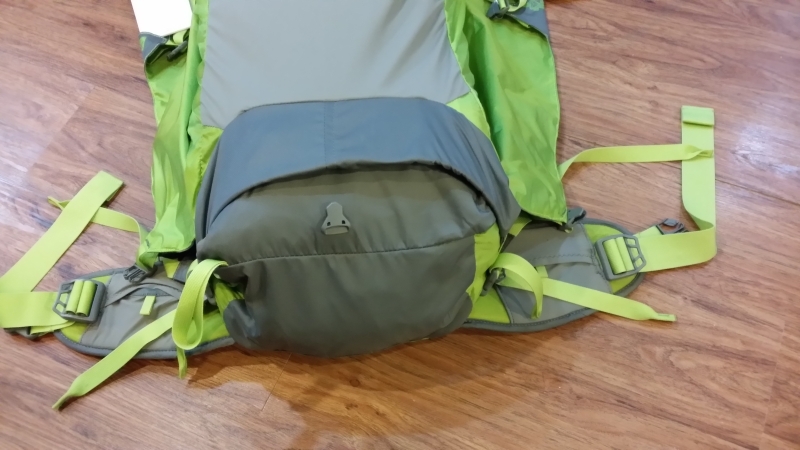 so i'm trying out the simple and stupid option (might not the best) to carry bulky tent with this pack. it works just nice and it shows that's possible to top up extra storage easily with the wing straps. 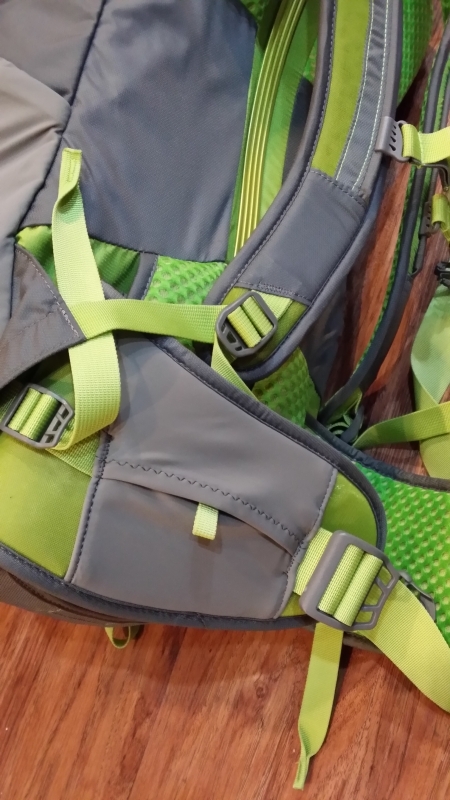 The trekking pole,tent poles and rain jacket keep inside the wing strap gaps for quick access. 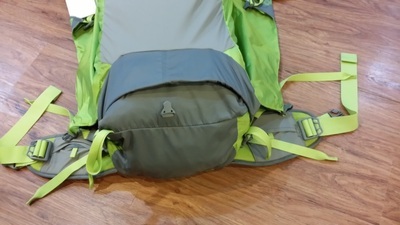 the side pocket used stretchy fabric without tightening strap for weight saving, but it would be great to have deeper pocket for holding up well with the bigger bottle . obviously main compartment for heavy items like cooking gears,stove,cookware and front compartment for the cloths and emergency items. The good thing is even with this bulky packing, the provided raincover is big enough to safe the pack from rain drops. i like the eye-catching color of the back foams that gives higher visibility in the dark! foams are placed at strategic area only for weight saving yet do not compromised the comforts. the waist belt has small zipperless pocket each side for keeping some snack or energy foods. but too small for the bigger phone or camera. overall the pack offer you simple yet flexible designs for any trails of your adventures trip, lightweight designs, zipper-less compression closure system. at retail price of MYR673, it's definitely a best deal for your multiple days trip. Check out the pack more at our store now!